Hearing is one of the most important senses a man can have. It allows a person to hear sounds through the mechanical waves that are transmitted and stimulates the hearing organs. Each of the Earth’s components and everything that is in it including plants, animals and humans can create sounds that are unique from each other. Man creates sounds through his voice, actions and in special instruments that are being used in music such as pianos, organs, guitars, violins, drums, bongos, cymbals and xylophones. These instruments are made in order to enjoy music. Music is a form of art with sound as a medium. It is a combination of musical notes, pitch and duration as its foundation. While music has a pleasing effect on the listener, noise on the other hand obstructs, garbles, and is unpleasant for a person to hear because of its irregular wave form, low frequency, and sudden changes in wave length. It is also an unwanted sound which is usually very loud and meaningless. 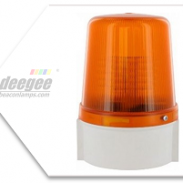 Although noise can be unpleasant to hear and unwanted by many people, it may prove very useful in some applications especially in audible warning signal devices, which attract people’s attention by sounding very loud sound signals. Last week, we discussed the different types of audible warning signal devices that are commonly used today. One of those devices is the siren which gives a loud warning signal to people around the area. And so this week, we will briefly discuss the two types of siren – the pneumatic siren and the electronic siren. We will also discuss in this article how those two sirens work, their uses, and in what applications they are being used. Pneumatic sirens are typically aero phones or instruments that produces sound primarily by causing a body of air to vibrate and without the use of strings or membranes. It consists of a rotating disk with holes in it which are called chopper, siren disk or rotor. The materials between the rotor interrupts the flow of air from fixed holes on the outside of the unit which are called stator. The stator is the part which cuts off and reopens air as the rotating blades of the rotor move past the port holes of the stator which results in generating or producing a sound. As the rotor alternately preventing and allowing the air to flow, it results in alternating a compressed and rarefied air pressure. The pitch of the siren’s sound is a function of the speed of the rotor and the number of holes in the stator. A siren with only one row of ports is called a single tone siren. A siren with two rows of ports is known as a dual tone siren. You can also repeatedly close and open all of the stator ports that will create a pulse by placing a second stator over the main stator and attach a solenoid into it. If this is done while the siren is wailing rather than sounding a steady tone, it is called a pulse wail. By doing this separately over each row of ports on a dual tone siren, one can alternately sound each of the two tones back and forth which will create a tone known as Hi/Lo. If this is done while the siren is wailing, it is called a Hi/Lo wail. The ports can be opened and closed to send Morse code. This type of siren which can do both pulse and Morse code is known as a code siren. Pneumatic sirens consume large amounts of energy. And in order to reduce the energy consumption without losing sound volume, some designs of pneumatic sirens are boosted by forcing compressed air from a tank that can be refilled by a low powered compressor through the rotor. In the United States, pneumatic sirens that are mounted in vehicles are sometimes referred to as mechanical or coaster sirens. Mechanical sirens powered by an electric motor are often called “electromechanical” because of its high current draw. Pneumatic sirens are usually being used with fire trucks, type IV ambulances, rescue-squad vehicles, and in other applications such as aviation and loading bays. Its distinct tone of urgency, high sound pressure level and square sound waves are remarkable for its effectiveness. Electronic sirens are made up of electronic circuits such as oscillators, modulators, and amplifiers to synthesize or produce a selected siren tone which is played through external speakers. They are basically high-performance sound signal electronic amplifiers just like those in home sound systems. 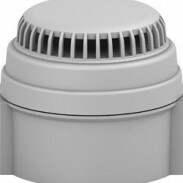 However, these sirens work with substantially higher outputs and specific demands are placed on them in terms of desired extreme reliability and different methods of their control. Control infrastructure must also be reliable and usually two independent control channels are required. The loudspeakers for these amplifiers are placed in specially-designed sound baffles and they play the signals stored in the siren’s digital memory or signals fed to the siren from an external source such as a microphone, phone, radio station, common radio and television broadcasting, etc. Electronic sirens are increasingly used for mass warning systems due to their advantages of low energy consumption and low maintenance effort. Their modular construction offers individual structure and power stages possibilities. The first electronic siren that mimicked the sound of a mechanical siren was invented in 1965 by Motorola employees Ronald H. Chapman and Charles W. Stephens. Like pneumatic sirens, electronic sirens are also being used in aviation, loading bays, rescue-squad vehicles, and in emergency vehicles such as fire trucks and ambulances. Noise can be compared to the idiom “two sides of a coin”. If we look at it, we’ll see that it has two sides, both of which bear different imagery. Noise can really be annoying and some may consider them as garbage or trash, but it has some benefits and uses if we look at it in a different way. When we say “two sides of a coin”, what we refer to is the fact that an issue might look very different when we flip it over and look at it from the other side. It is the same item, but it looks different, depending on your perspective.